Using CL_SALV_TABLE class to create a very simple ABAP ALV report that selects data from database table SFLIGHT and displays it to the user as an ALV grid via the cl_salv_table=>factory method. This is just a very basic output but demonstrates how you can display a grid report with s little as 12 lines of code, you could actually get it lower than this. 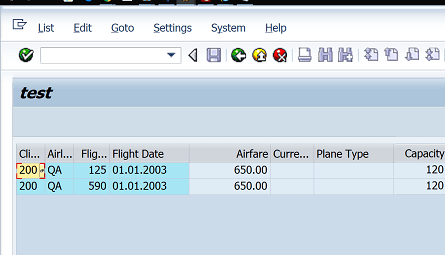 DATA: it_report TYPE TABLE OF sflight. DATA: salv_table TYPE REF TO   cl_salv_table.